- Stainless steel filter housing for TFE500 and TRX160. - New slim line look takes up less space in your cupboard. 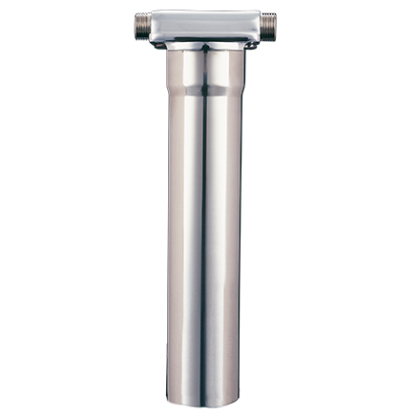 - 304l stainless steel, offering superior hygiene properties. - Connections made easy to connect to existing system. - 1/4 turn "bayonet" housing make it easier to fit your filter. - Green tube left in place so no need to remove tap from sink. This stainless steel housing kit comes complete with hoses and connections for an easy upgrade.